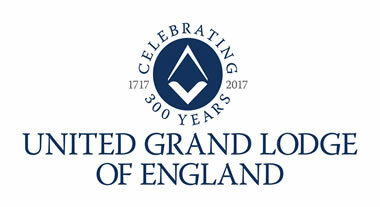 This site has been produced to provide a searchable database purely on Freemasons who took part in and died in the course of their duty during the Great War of 1914-1918 . Whilst the site is based only around Freemasons, it recognises the supreme sacrifice of all British, Commonwealth and Allied troops who lost their lives in the pursuit of a greater good. "...They died that we might live..."
This database is primarily taken from and based on the 1921 Masonic Roll of Honour 1914 - 1918, which was commissioned by the United Grand Lodge of England and distributed out circa Sept. 1921, and further from the Peace Memorial built at Freemasons Hall, Great Queen Street which was completed in 1933. The original document had 3064 names from all ranks and service arms and it should be noted that there are many discrepancies within which would give cause to question. e.g. Names may appear twice under different Lodges, or there are names which may be missing. Whilst these may be corrected over time, please respect the fact that the book was written in post WW1 Britain, and many reasons could exist for these errors. It is the aim of this project, however, to identify, study and correct the Roll of Honour to a modern working version and make available to the public. Over and above the printed version, the links contained within the database may give further history and citations on the individuals (where permission has been sought and/or if received for inclusion). In many cases we have considerably more information than the summary shown in the search facility. Please feel free to contact us for more background. As it stands today, there are 3526 names recorded against this database. The Hallstone Jewel is of interest to both Freemasons and collectors alike. Find out a little more about its history. 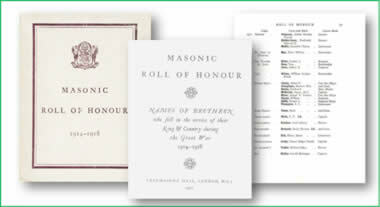 Discover more about the original publication, the 1921 book - Masonic Roll of Honour 1914 -1918, and the names which it contains. 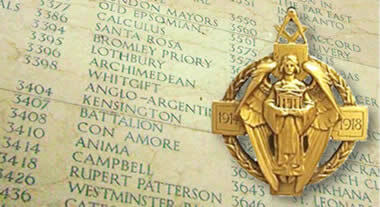 About 1 in 10 Victoria Cross awards were issued to Freemasons. Find out who they were.